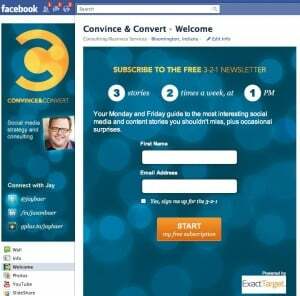 After years of holding out, I launched a fan page for Convince & Convert on Facebook. I want a couple weeks to get our sea legs. And then, we’re going to treat Facebook a little differently. Yes, I’ll sometimes post links to interesting things I find online. And I’ll post links to blog posts that run here at Convince & Convert, plus info on Webinars, events, and other projects we’ve got cooking. I want to give YOU the opportunity to curate great content too. To point out bloggers and companies and resources and people that don’t get the attention that I do here at C&C. I’m giving each of you the chance to control the Convince & Convert Facebook fan page for two days at some point in the future. Just email info@convinceandconvert.com and volunteer. You can post whatever you want, whenever you want, for 2 days. I trust you to do the right thing, and want to use Facebook to highlight YOUR contributions and the contributions of people YOU believe in. You’ll post as C&C, but tag your own name as the contributor. I’ll also be starting a new series (hopefully we can make it regular) where I jump on Facebook and answer your questions about social media and content marketing live via streaming video (using VPype or UStream). That will be fun, and educational, and interesting. So get your lists of questions ready. And if YOU’D like to go live online to answer question on the C&C Facebook page, email me and volunteer for that too. We’d love to have you. We’ll also be posting social media jobs – and job seekers – on Facebook, so if you have a position you’re looking to fill or if you’re in the market for a new gig, send us an email about that, too. (we also include these in our twice-weekly emails). But first, you have to become a fan. I’d love for you to actually go see us on Facebook by clicking right here. But for you busy types, you can like the page without leaving by clicking the button at the top right of this page. 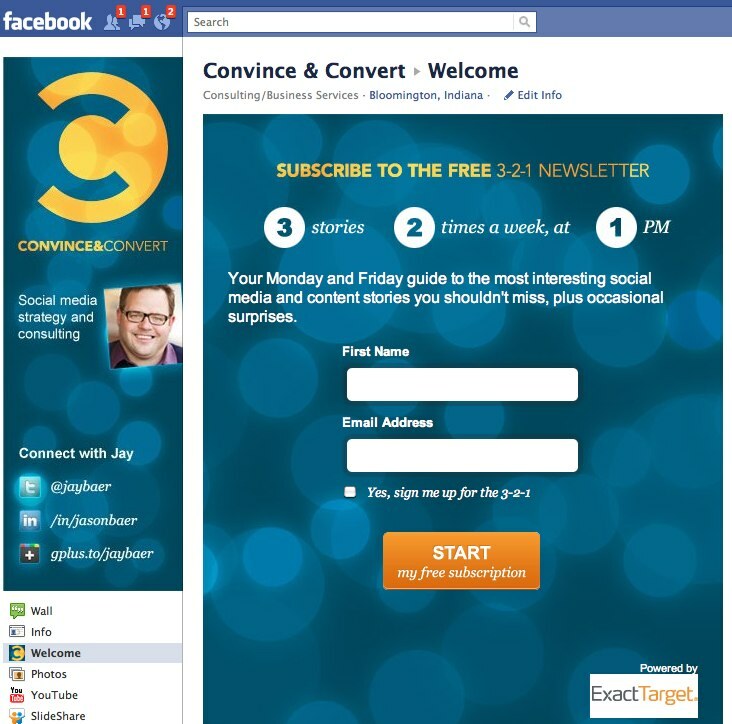 We’re also running a complicated series of conversion rate tests on Facebook along with some corporate clients, so it would be fantastic if you would sign up for the 3-2-1 newsletter from the Facebook landing tab, if you don’t get the email already (and you should because it’s free and uber-useful, and includes job listings). From the bottom of my heart and the top of my keyboard, thanks for your continuing support. There’s a lot of places you could choose to spend time online, and I’m blown away by anyone who decides to spend some of that precious commodity with me here.